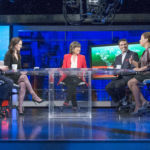 (New York, NY – September 10, 2018) The new one-hour late-night public affairs series Amanpour and Company premieres nationwide tonight on PBS with a special episode at 10:00 p.m. ET (check local listings), followed by a second episode airing in the series’ regularly-scheduled 11:00 p.m. ET hour (check local listings). Anchor Christiane Amanpour leads the new series at 10:00 p.m. with one-on-one interviews with Christine Lagarde, president of the International Monetary Fund (IMF), and Kellyanne Conway, Counselor to the President of the United States. 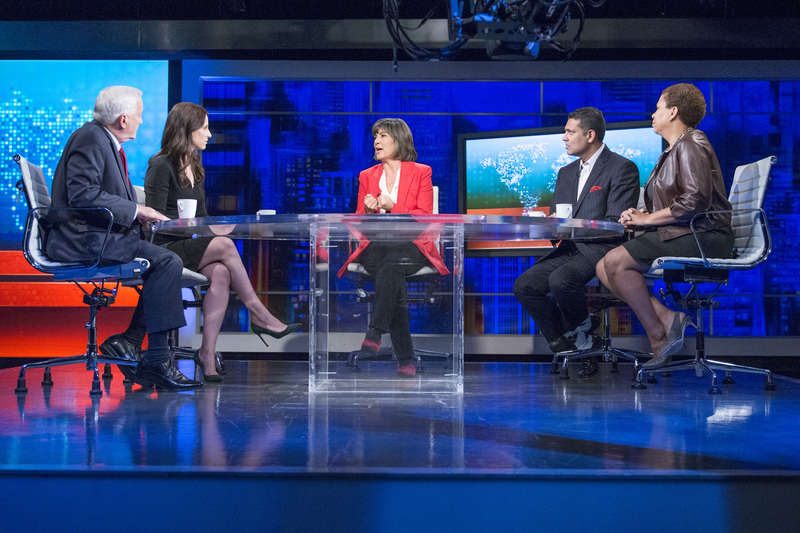 A roundtable with Amanpour and the program’s four contributors – journalists Walter Isaacson, Michel Martin, Alicia Menendez and Hari Sreenivasan – will follow. At 11:00 p.m., Amanpour interviews Rep. Nancy Pelosi, Minority Leader of the United States House of Representatives, and actor Ethan Hawke, with contributor Hari Sreenivasan rounding out the episode with an interview featuring Alvin Ailey American Dance Theater artistic director Robert Battle. 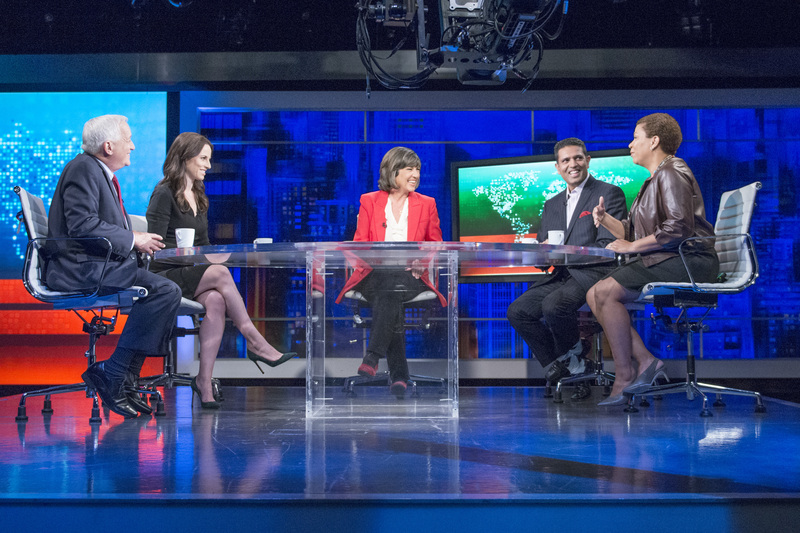 Amanpour and Company will feature wide-ranging, in-depth conversations with global thought leaders and cultural influencers on the issues and trends impacting the world each day, from politics, business and technology to arts, entertainment, science and sports. 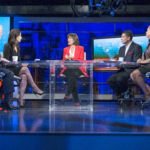 Christiane Amanpour leads the conversation on global and domestic news from London with contributions by prominent journalists Walter Isaacson, Michel Martin, Alicia Menendez and Hari Sreenivasan from the Tisch WNET Studios at Lincoln Center in New York City. The new series, an expansion of CNN’s flagship program Amanpour, will continue to air on CNN International weekdays. CNN Chief International Correspondent Christiane Amanpour has earned every major television journalism award, including 11 News and Documentary Emmy Awards, four Peabody Awards, two George Polk Awards, three duPont-Columbia Awards and the Courage in Journalism Award. She has received nine honorary degrees, has been named CBE (a British honor awarded by the Queen of England, Commander of the Most Excellent Order of the British Empire), and was this year inducted into the Cable Hall of Fame. She is an honorary citizen of Sarajevo and a UNESCO Goodwill Ambassador for Freedom of the Press and the Safety of Journalists. Author and journalist Walter Isaacson is a professor of history at Tulane University and the past President and CEO of the Aspen Institute, a nonpartisan educational and policy studies institute based in Washington, DC. He has been the chairman and CEO of CNN and the editor of Time magazine. Alicia Menendez is contributing editor at Bustle, host of the podcast Latina to Latina and former anchor and special correspondent for Fusion, where she covered stories at the intersection of politics and pop culture. Named “Broadcast Journalism’s New Gladiator” by Elle magazine, and “Ms. Millennial” by The Washington Post, Menendez has emerged as one of the most influential voices of her generation. Executive Producer Scott E. Davis brings more than 10 years of experience in news and talk programming to Amanpour and Company, having previously served in a variety of senior roles on Exposé, Need to Know and most recently PBS NewsHour Weekend. Gina Kim, a veteran of NOW with Bill Moyers and Moyers and Company, joins Amanpour and Company as co-executive producer. Kim’s varied career has included roles at Women in the World Media created by Tina Brown, NOW on PBS, MSNBC, and, most recently, executive producer of the 5-part PBS national series #MeToo, Now What? For editorial use in North America only in conjunction with the direct publicity or promotion of AMANPOUR & CO. No other rights are granted. All rights reserved. Downloading this image constitutes agreement to these terms.